My hobby interests takes turns like a minute hand rotates around the face of an analog clock. However, when you have duplicates in your stamp collection( yes , I’m a philatelist also.) you either sell or donate, right? (I’m not at a point to have duplicates in my Hawaiiana numismatic collection). I recently found my stamp donation letter as part of my 2013 tax paperwork hunt. I made the donation back in August 2013. I weaned out a small set of duplicates from my stamp collection last year. The original cost for this weaned group of modern day stamp duplicates was a mere $74.98 (2 cents shy of $75). 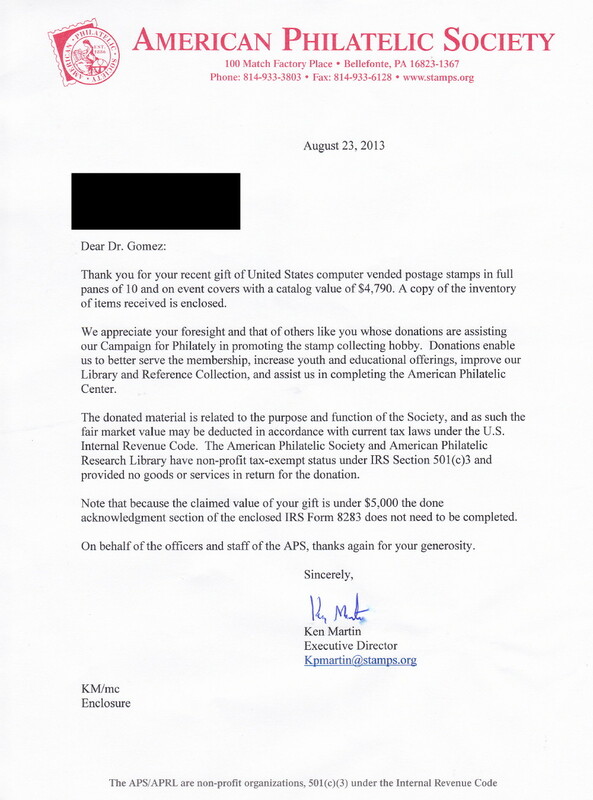 After 9 years, the catalog price was a staggering 4 figure amount (see the letter).